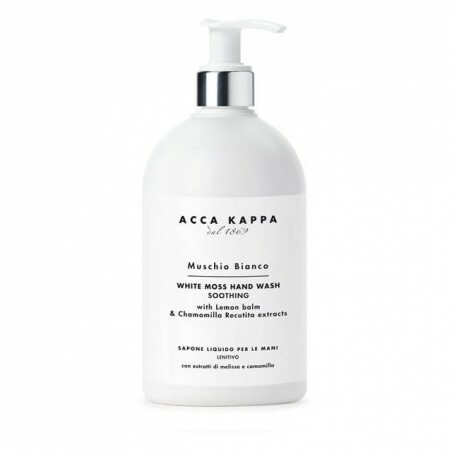 Acca Kappa White Moss Hand Wash 300ml. This is a soothing liquid hand soap that has been made with Chamomile Recutita and Lemon-Balm extracts.It gently cleanses the skin preserving its natural hydro-lipid balance as it contains coconut oil and sugarcane. It is recommended for irritated and chapped hands. 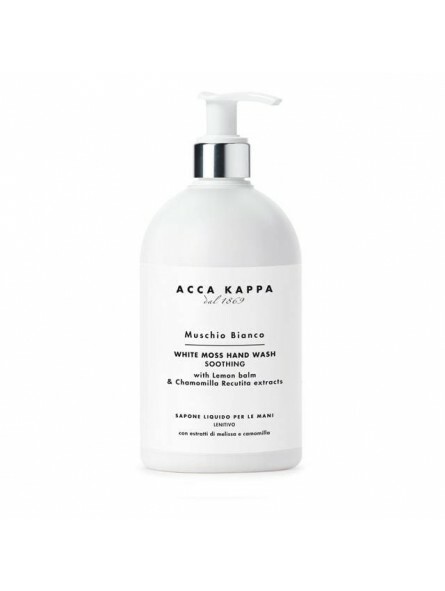 The White Moss aroma leaves the body smelling and feeling fresh like an Italian spring. It combines a harmonious blend of sweet, sensual notes including light wood, amber and musk.